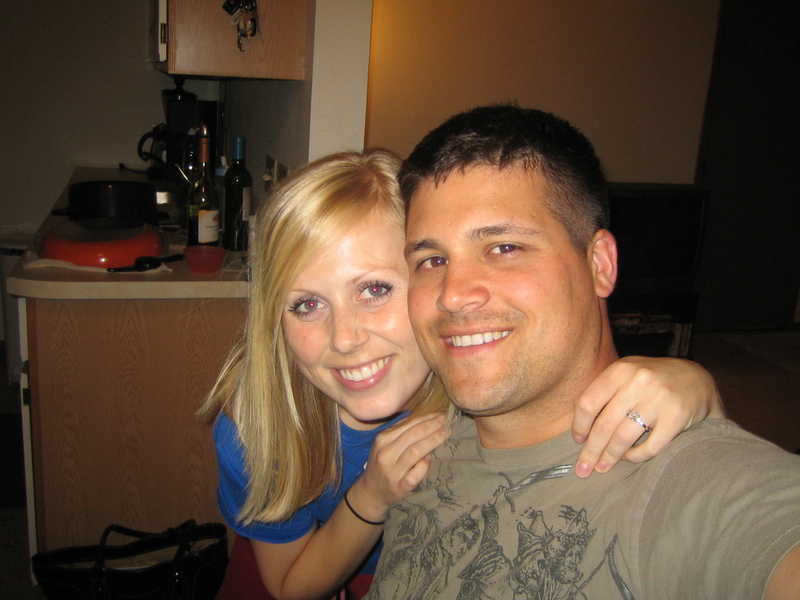 I began my college career in 2004 at Minnesota State University, Mankato. I went in with an undeclared major. In the dorms, I was paired up at random with Angela, the most amazing roommate in the world, who I am so lucky to still be in touch with. I will never forget the first day we met in the hot and sticky dorms. We were both so nervous but so excited at the same time for the adventures to come. The next few days were spent orienting ourselves to the campus and getting to know each other and some of our neighbors in the dorms. We had so much in common right off the back it was unbelievable. It just so happened that one of Angie’s friends, Heidi, lived down from the hall from us and that one of my friends, Kate, lived just a about a three minute walk away. The four of us hit it off and spent quite a bit of time together. Long story short, I ended up living with these four beautiful ladies throughout my whole college career at Mankato. We have so many wonderful memories which I will never forget. Another amazing part of my college experience was that sophomore year, my best friend, Betsy (also my cousin) started her first year at Mankato too. Are you kidding? I was in heaven. It was like having a piece of home with me at school. I can’t imagine what it would have been like without her there. Not to mention my great friend, Haley, who I met in the dietetics program (love my other dietetics gals too!). We spent endless hours studying together during our last two years.I love you all so much! Aside from the social aspect of life…I declared my dietetics major late in my sophomore year. To this day I still can’t believe that I hadn’t known what I wanted to major in until then. Not only did I grow with my mom being a nutrition specialist, but I also grew up with some health issues (which I’ll get into later) which forced me to watch what I eat. If I didn’t, I wouldn’t feel good. As a teen, and into my college years, this was a hard concept for me to grasp because social life was often more important than my health at that time. It was with much thanks to Angie that I decided to go the dietetics route and I am forever thankful that she encouraged me to pursue it. 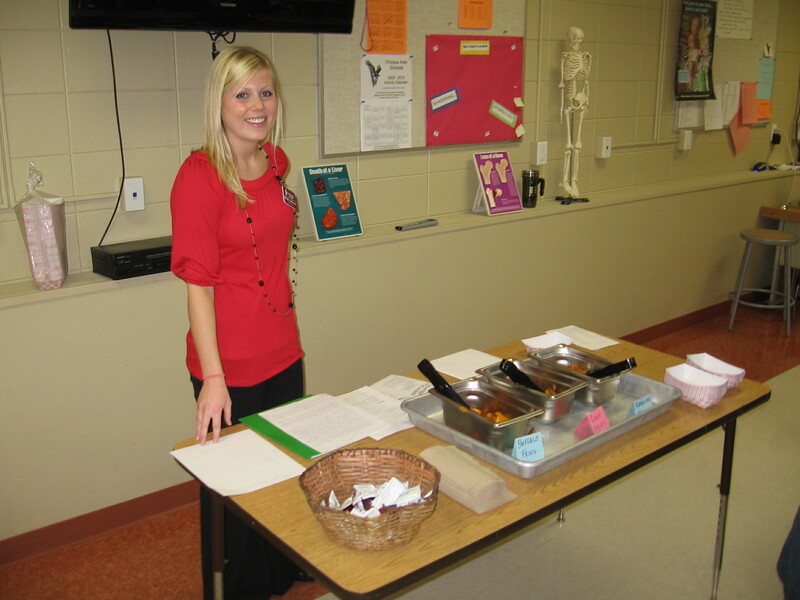 I love health, I love food, I love learning how the body reacts to it all; dietetics was a perfect fit. There was A LOT of science involved, including a near impossible physiology course, which coming from an A/B student, having to fight for a C did not make me extremely happy. Overall though, I really enjoy science. Since I didn’t declare my major until late into my second year of school, it took me five years to complete my degree. I was very happy to be done at ready to move away from “college” life. I graduated in May 2009. The next adventure was completing my dietetic internship. A dietetic internship is required after you receive your undergraduate degree in order for one to take their registration exam and actually become a Registered Dietitian. The application process for these internships was very stressful and the placement rate was only 50%, so I was very fortunate to get an internship. I would be starting the year-long internship the fall of 2009 at Viterbo University in La Crosse, WI. Dana, mom and dad helped move me in to my own little one bedroom apartment. It was a very bittersweet time in my life. On the one hand, I was ecstatic to start the internship and to be one step closer to becoming an R.D., on the other hand, the thought of moving away from my family, friends, and boyfriend again, made me so sad, and maybe even a little depressed. The internship was community based, meaning we spent the biggest portion of our time in community settings such as schools, grocery stores, fitness centers, etc. We also rotated through clinical dietetics as well as food service. The internship was very challenging. I learned great time management skills and perfected my organizational skills as well as continued my nutrition education learned through many hands-on opportunities. 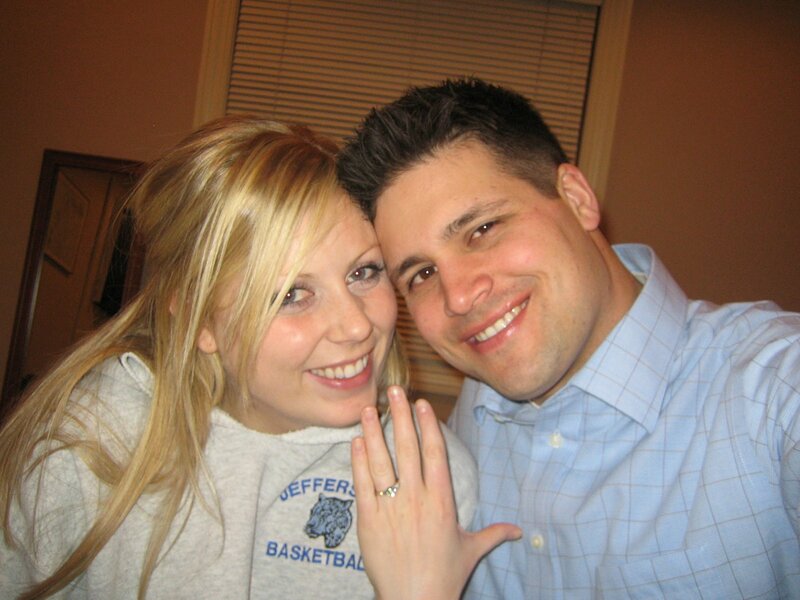 During this time I also got engaged! 🙂 That’s another story on a different day! I completed the internship program in July 2010, took a couple of weeks to enjoy the summer, then got down to studying for the registration exam. I had one month until the big test. I had already begun studying in the spring, but this last month was the most intense. I spent hours every day studying and doing practice tests. I had many dates with the library. The big day arrives and I head to the test center. I am a horrible test taker and get pretty bad anxiety when it comes to testing, so needless to say I was a wreck. I took almost the full amount of time to take the exam. Once I was done, all I had to do was submit and I would find out immediately if I passed or not. I was wishing I could have someone else come in and hit that submit button for me, but since that wasn’t an option, I took a deep breath and hit enter. OMG I passed. BARELY. But I passed. Omg omg omg. I need to get out of here. I drove to Dana’s work which was two minutes from the test center. I was on cloud 9. I think he was just as nervous as I was. He met me outside and had a huge bouquet of daisies in his hands for me. No matter what, he was there to support me. He gets in my car and as I am crying, I muster up the words to tell him I passed. It was such a great moment and as I relive it right now, I am starting to get choked up. All of that hard work, time, tears, frustrations, had paid off, and I was a Registered Dietitian. Time to begin my career. I didnt know you went to Viterbo! I went to UW- La Crosse– I loved that town, it’s beautiful! I would love to pick your brain a little bit about becoming an RD! It is so beautiful there! What a small world! Pick away my friend! Just send me an email! This is exactly how I felt when I took my RD exam and I too barely passed. I remember thinking during the end of the exam “I’m going to have to re-take this, I just know it” Then when I was finished the printer wasn’t working right to print out the paper that said if I passed or not so I had to sit (no so patiently….I was shaking the entire time) for 30 minutes until they fixed it. Once I got my paper and it said I passed I started crying right there in the testing center in front of all these strangers. lol. Oh, the stress of becoming a dietitian! I appreciate your story and can completely relate! Oh my gosh I can’t imagine! I was nervous enough hitting submit to get my score which showed up immediately!